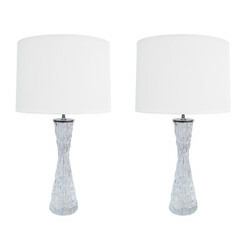 A pair of Orrefors Modernist crystal table lamps with Orrefors Signature and label. 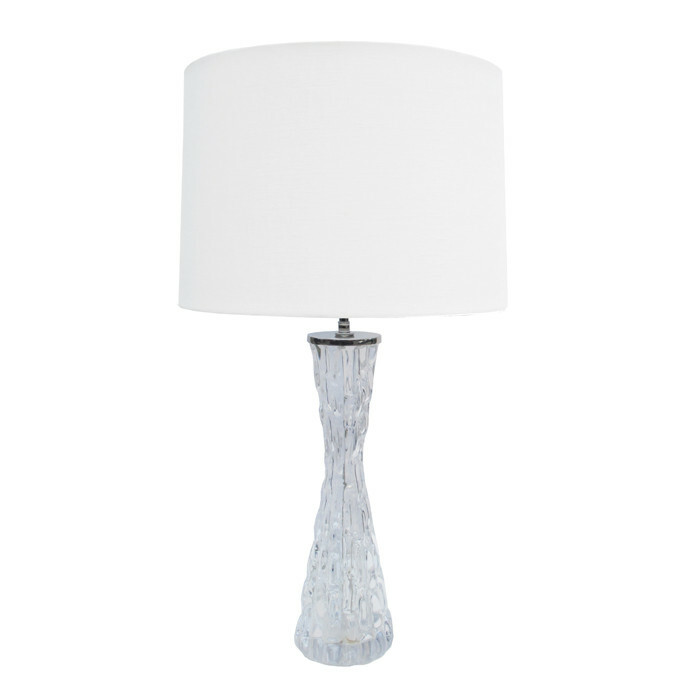 Crystal and polished nickel. 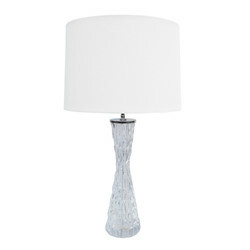 Dimensions: H:29 Shade Diameter: 16 Inches.